...ONLY AN INTROVERT WOULD UNDERSTAND. LUCY, THE EXTROVERT, TRYING TO HELP LINUS, THE INTROVERT. I am really looking forward to another New Year's Eve! After fighting off more than a few invitations to "party hardy," I will again stay home by myself, put on some soft music, turn on my fake fireplace, fix myself some nice hot chocolate, take out my old 2015 journal and read through it with amazement, open my new 2016 journal and begin to imagine with great enthusiasm where I want to take myself (with God's guidance and help) over the next twelve months, probably sleep through the "dropping of the ball"
....and enjoy it all immensely. It occurred to me as I was writing this post that I probably lie more during the week after Christmas than any other time of the year. What do I lie about and why do I lie? I lie to get out of going to loud, noisy celebrations to greet the New Year. I lie because it is just too much work trying to get extroverts to understand why introverts would choose to be alone at such a time because they enjoy being alone at such a time. Before you start pitying me or calling the men in the white coats from Our Lady of Peace, this might be a good time to offer a short course on the difference between an introvert and an extrovert for those who are not familiar with the terms. Warning! Understanding the terms will not necessarily help you understand the people the terms describe! Extroverts and introverts will probably never really understand each other! What do you see when you look at this scene? Does it look like hell or heaven to you? If it looks like heaven, you may be an introvert! AN INTROVERT'S RESPONSE TO THE MAN ON THE BENCH! 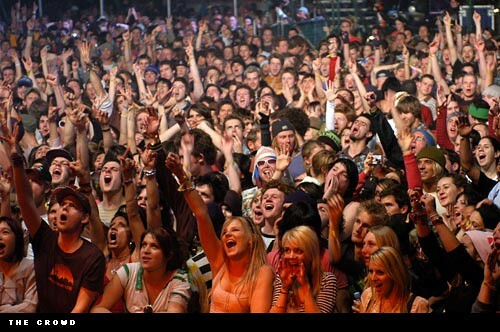 What do you see when you look at this crowd? Does it look like heaven or hell to you? If it looks like heaven, you may be an extrovert! AN INTROVERTS RESPONSE TO BEING PART OF SUCH A CROWD! One amazing fact: introverts and extroverts tend to pity each other so before you extroverts start pitying an introvert like me, let me say this to you: I am happily introverted and so are (were) a lot of pretty famous people. Andy, Barney, Aunt Bea, Helen, Ellie, Thelma Lou, Gomer, Goober, Howard Sprague and Ernest T. Bass were all single ..... and happy! Only introverts probably think this commercial is hilarious! All you extroverts*, enjoy your party! All you introverts*, enjoy your quiet! "May you want to be who you are!" *extroverts will probably not understand the humor in this post! *introverts will probably be laughing their heads off! A NEW BISHOP - ANOTHER ADJUSTMENT - THE SHOW GOES ON! 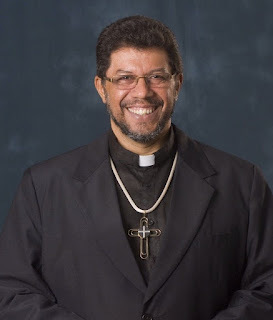 Over the last year, I have gotten to know Bishop Jason Gordon and have just become comfortable volunteering in his Diocese of Kingstown down in the small island country of St. Vincent and the Grenadines, off the coast of South America. In fact, I just returned from my second trip down there on December 15, 2015. For that reason, it was a shock to get an early morning e-mail from Bishop Gordon on December 22, 2015 announcing that Pope Francis had separated his two dioceses and named a new bishop for the Diocese of Kingstown. 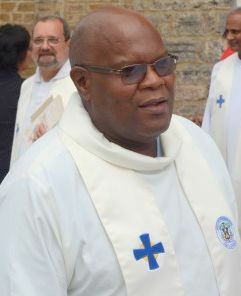 Bishop Gordon will be staying in Bridgetown, Barbados, as bishop while Bishop-Elect Gerard County will be coming to Kingstown, SVG. It is a good move for Bishop Jason Gordon because he will no longer have to maintain the untenable position of trying to serve two dioceses in two different countries. For those of us who have come to respect and love him, it is going to be an adjustment, but for the good of the Church, we welcome Bishop Elect County and look forward to working with him as well. in Kingstown, on February 22, 2016. I will be attending the episcopal ordination of Bishop-Elect County since I had already purchased a ticket to go back at that time anyway. 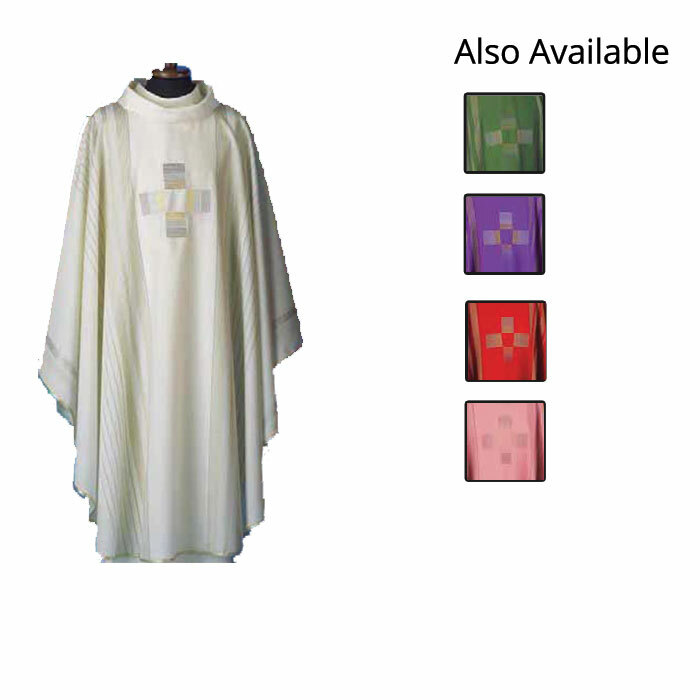 In any regard, Louisville would have had a visible presence anyway since a good friend of mine (through our R J Mission Projects fund) accidentally purchased a full set of vestments and a matching white mitre that Bishop-Elect County will wear at his episcopal ordination. We originally ordered the set of vestments for Bishop Gordon and his Cathedral, but the mitre was delayed because we did not have Bishop Gordon's head size. Because of this fortunate delay, instead of measuring Bishop Gordon's head, we were able to measure Bishop Elect County's head just in time! He will be wearing the new vestments and mitre at his ordination as a bishop. "I will continue to do as many priest convocations and retreats as I can, but that won't be enough because I use much of that to pay my own travel and expenses when I go down. I am hoping for a $47,752 miracle so I can order van #2 soon and help bless it when I go down in February. " THROUGH THE HELP OF A GENEROUS FRIEND, WE RECEIVED THAT CHRISTMAS MIRACLE! “Ask and it will be given to you; seek and you will find, knock and the door will be opened to you." The second van will be similar to this first one. Miraculously, both vans are now fully paid for! One went to St. Benedict Parish and the other will go to Corpus Christi Parish. The Sunday I handed over the keys to van number one, I spoke to Father Boniface, a wonderfully warm and personable priest from Nigeria, who is the pastor of Corpus Christi Parish on the north end of the island of St. Vincent about the possibility of his parish receiving a van. I met him last Holy Week as well. I told him that he needed to pray that we could get it with a final push. Bishop Gordon selected his parish for this second van. He was so excited about the possibility of solving some of his parish transportation problems. I believe it is the most isolated of all the parishes on the island. Congratulations, Father Boniface and the good people of Corpus Christi Parish! Your prayers are answered! What a sweet breaking news this morning. Yes, our parish was promised one van by the Bishop. The news of your great support to have the van procured is like a dawn of a new day to our parish. pray for you and your friend. 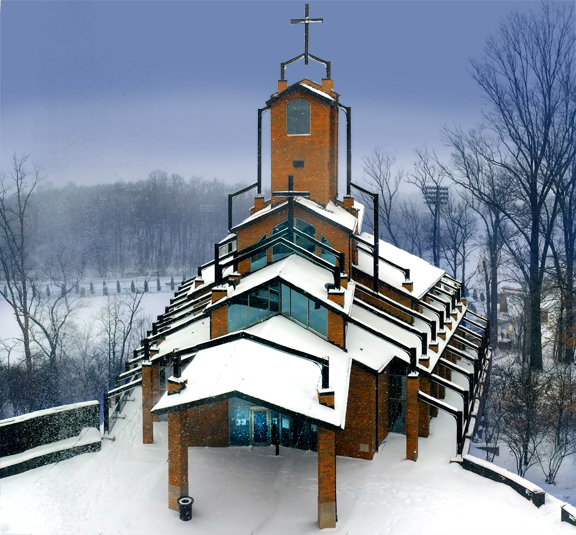 On behalf of the Parish we wish you merry Christmas. A BIG THANK YOU TO ALL THOSE WHO HELPED WITH SECURING BOTH VANS! R J Mission Projects hopes to come up with three or more scholarships to send some very deserving kids from the islands to a life-changing experience at WORLD YOUTH DAY in Krakow, Poland, this July. Some have probably never been off the island on which they were born. Pope Francis will be there. Three friends have already sent the first $1,000 as a deposit for the first scholarship. I will add the stipends from my speaking trips in the next several months. for passports, cheap flights, simple meals, minimal lodging, some sightseeing and a souvenir tee shirt. GET ON BOARD. YOU KNOW YOU WANT TO HELP US HELP THEM. One of the great discoveries about my retirement is that I can now do jobs and make money just to give away to deserving people and sound projects - and have great satisfaction doing it! Another of the great discoveries about my retirement is that I have the ability to pull other compassionate people into my circle to share the satisfaction of showing in small ways that compassion and kindness are stronger forces than indifference and hate. We might not be able to change THE WORLD, but we can change SOMEBODY'S WORLD. We do small projects in our spare time! Do small projects in your spare time! awoke he did as the angel had directed him. It’s amazing, but sometimes something is repeated so often that we really quit paying attention! This is certainly true of the Christmas story! We have tended to sentimentalize it and make it sweet and charming, when in reality the details are shockingly disastrous – from an out-of-wedlock pregnancy to an on-the-road delivery in a smelly barn. God is God, but his idea of how to send a beloved son into the world is nothing short of bizarre. If you read the story carefully, it’s really one tragic disaster after another. If the beginning is not bad enough, the end is worse. This baby boy grows up and dies in the prime of his life – sadistically executed along with two common criminals! God’s ways are not man’s ways! The message tonight is surely this! To understand the “disasters” of our own lives, we have to look at them through the eyes of God, not our own! In the summer of 1959, I was barely 15 years old. It was my second summer home from high school seminary. In a town of 27 people, there wasn’t much to do on a lazy summer Sunday afternoon, except go swimming in a pond on one of my father’s farms. There were four of us boys about the same age: me, my brother Gary, John Paul Manning and his brother Joe-Joe. We walked about three miles to the pond. None of us knew how to swim, all that well, so we had agreed just to play together a few feet from the shore. He was thrashing about, wildly, trying to keep from drowning. The sad thing was, if he had done the opposite, if he had only relaxed and let himself float, we could have grabbed him and pulled him, or he could have floated, to safety. The more he tried to save his life by thrashing about wildly, the closer to death he came. If he had just quit trying to save his life, he might have saved it. The message was: there are times to hold on and there are times to let go. As a young priest, I worked with an angry nun who had been hurt by a convent chaplain when she was a novice. Because of his recommendation, she was dismissed from her order as “unsuitable” for final vows. She carried her resentment against him for years, even though she was later readmitted and went on to become a nun. The more I tried to work with her, the more determined she was to rebuff me. I knew nothing of her bad experience with the convent chaplain, but to her I was “that priest” with another face. The more she rejected my efforts to reach out to her, the harder I tried to win her over. The more she rebuffed my efforts, the more I re-doubled them until I was so frustrated that I had to go for counseling. In counseling, I kept coming up with more ideas about how I could win her over. This went on for over an hour, until the counselor was practically screaming in my face, “When are you going to take “no” for an answer? She doesn’t want to work with you!” Shocked by his bluntness, I feel back into my chair as my mind finally “got it.” The interesting thing was, once I quit trying to work with her, did my own thing and let her do her own thing, we got along fine. The message was: there are times to hold on and times to let go. I usually preach on the Midnight Mass readings that tell us about the birth itself, about the angels and about the shepherds, but this year I want to talk about the gospel that tells us all the things that led up to the birth of Jesus. I want to talk about St. Joseph, the man who could change his mind when faced with unwanted realities. Some of us are proud of the fact that we made up our minds about something years and years ago and that we are not about to change them now. We may even think that our inflexibility is a virtue. St. Joseph teaches us that, to follow the will of God, we sometimes have to be able to change our minds. Here's the short version of how St. Joseph was able to change his mind. Mary and Joseph were engaged to be married. Mary became pregnant before the wedding and told Joseph that she had conceived through the power of the Holy Spirit. Joseph refused to believe it at first. He may have even showered Mary with some harsh words. In response to this unwanted news, he made up his mind to divorce Mary quietly when an angel appeared to him in a dream, confirming Mary's explanation and telling him not to be afraid to proceed with the wedding. Joseph woke up with a changed mind, proceeded with the wedding and accepted his new family. Changing one’s mind is so important in our relationships to God that "change your mind" is the very first challenge that came out of Jesus’ mouth when he began his ministry. We read about it every first Sunday of Lent. The word he used is “metanoiete” in the Greek text of Scripture. It means, “Change the way you look at things! Change the way you see! To see what God is up to, it takes a radical change in the way you look out at things.” By being able to change his mind and look at the Mary's pregnancy with new eyes, Joseph was able to see that he was actually part of a great plan that God had formed long ago - not being duped by an unfaithful fiancée as the situation first appeared to be! St. Joseph teaches us this Christmas that we sometimes have to “let go and let God” and find a way to embrace some very painful unwanted realities if we are to move forward in life. St. Joseph teaches us that letting go in life can be very hard, but trying to hold onto to an idea we love can sometimes makes life even harder. (1) If parents want their children to grow into healthy adults, they have to “give them up” over and over again. They have to put them on the school bus that first day, even though they cry and resist and every bone in their body wants to hold onto them and keep them home. They have to “let go” when they learn to swim, when they go off to camp, when they learn gymnastics, when they learn to drive, when they leave home for college and when they walk down the aisle to begin their own life. If they “let go,” new life is possible for those children. If they try to hang on to them and cling to their childhoods, they will retard any possible growth into self-sufficient adults. (2) If someone is addicted and wants to be free, old patterns and old friendships and old thinking have to die and be buried before a new way of living is possible. They cannot hold onto past behaviors and take on new ones at the same time. The old way of living must die, before a new way of living can be born. (3) If someone is in a relationship that is not healthy and life-giving, letting go of it is very much like a death that one must go through before a new life and a new beginning and a new relationship can come to life. One must be willing to let go of familiar territory to reach new lands. The in between time is what scares people. That’s why abused spouses often return to their abusers: this in-between time is so scary that they return to what is familiar. By holding on to the past, they actually kill any possibility of moving into a new way of living. (4) Sometimes we have no choice: we are forced into change. Sometimes it takes a heart attack, a terrible loss, an eye-opening accident or a terrible diagnosis, a death of sorts, before we are motivated to bury our old way of living so we can make room for a new way of living. (5) Sometimes the church has to go through a great scandal, a purging, a death of sorts, to really renew itself. We are going through one of those deaths, right now. The seed of this renewal is in the ground sprouting as we speak. The old church is dying and a new church is being born. Many find that so scary and painful that they would attempt to go back to escape the pain of this dying, but we cannot go back. We must embrace this life-giving process yet again in our history. (6) The church has always grown, not during the times it is most comfortable and respected, but when we have people being martyred for the faith. There is even an old saying that “the blood of martyrs is the seed of the church.” The church cannot be said to be strong until there are enough people who believe it is important enough to die for. afraid of change or so in love with the old ways, but it's that place in between that we fear. It's like being between trapezes. It's like Linus when his blanket is in the dryer. There's nothing to hang onto." Or so it seems.........unless, of course, we are able to take a leap of faith across that great divide ! The truth of the matter is that Christmas has always been more about radical trust than warm fuzzy feelings! Santa Claus is for children, but Christmas is for adults. We ask that this special 4;00 pm Christmas Mass be honored by letting those who are grieving have this time to celebrate Christmas. It is not just an "early mass." Our regular Christmas Mass (listed below) will follow almost immediately at 6:00 pm for the general public. Anyone is invited to that Mass. Every once in a while I get to do something special for someone. Tonight was one of those nights. Amy (Wayne) Bowles contacted me to see if she and her husband could renew their wedding vows after Sunday night Mass at Bellarmine. When they were dating, she and her husband, John Broyles, used to attend the Sunday night Mass together. 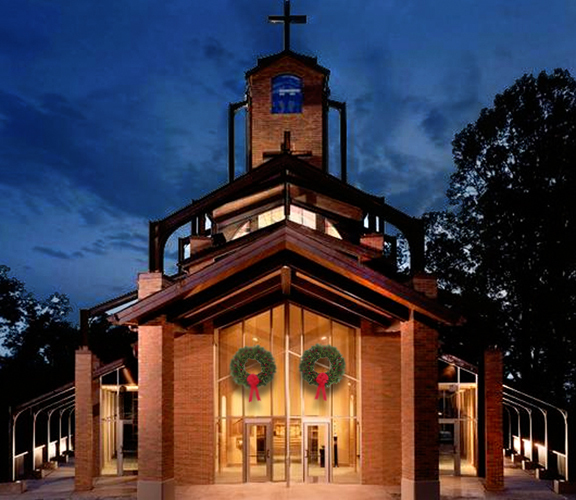 Because Bellarmine University is closed for the holidays, there was no scheduled Mass. They are such a nice couple and I was free to do it, so I suggested that I meet them there and renew their vows. It was a complete surprise for John - an idea that Amy had to make it even more special. Amy's parents surprised them both by bringing flowers and leaving them for the occasion. It was just the two of them and me! They are two of the nicest people you would ever want to meet! Part of our (myself and an anonymous friend) "R.J. MISSION PROJECTS" fund is to support international seminarians at Saint Meinrad Seminary. Three of those friends contacted me recently to see if they could come and visit now that the semester has ended. All three are from Benedictine Monasteries in the French speaking nation of Togo - a narrow little country in west Africa (in green on the map below). Left to Right - Brother Cajetan, Brother Justin and Brother David, all Benedictine monks from Togo studying at Saint Meinrad Seminary, arrived before noon. We had a nice lunch at the Red Lobster Restaurant. This was Brother Cajetan's (left) and Brother Justin's (right) first trip to a Mall. They fit right in to Mall life. You would never know they were monks from the other side of the world. Brother David picked out a UK hat. I reminded him that UK stood for the University of Kentucky, not the United Kingdom! It's a small world! We ran into this Mall worker (red shirt and big hair) who is from Tunisia in northern Africa (see top of Africa on the map above). Since both Tunisia and Togo are French speaking countries, they spoke for a while in French. Before they headed back to St. Meinrad Archabbey, they wanted a photo in front of my condo complex. I think they had a wonderful day out! I certainly had a great time showing them around. Monday, they will visit St. Paul Abbey, a Benedictine Monastery in New Jersey, for the holidays. They need to see something besides southern Indiana, as nice as it is, while they are in the United States. They will probably get to see New York and maybe Washington DC.